87% of Germans are shocked about the win of the far-right Alternative für Deutschland (AfD). The first time after World War II, a populist political party with racist features enter the Parliament. Majority of German and international analysts blame Merkel’s migration policy for the rise of AfD and the losses of CDU and sister party CSU. Some dare to blame also of the “implemented austerity policy”, “the zero rates policy” and a protest vote by those who fell “underprivileged” especially in East Germany where AfD rose to second party with 20 percent. 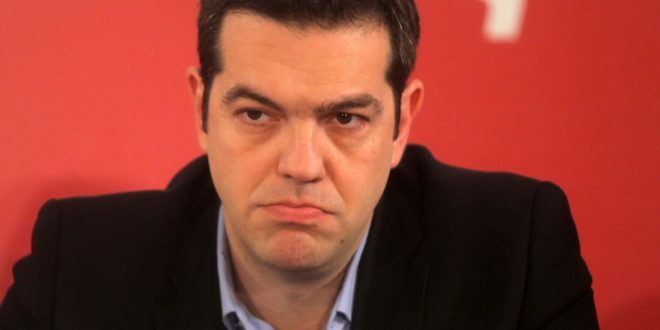 While analysts and German democratic political parties still try to understand… the vice president of Greece’s major opposition party, conservative New Democracy, found who is responsible for the AfD win: Prime Minister Alexis Tsipras. “I remember Alexis committing himself to change Europe, opening the borders and sending so many migrants to Germany, he changed it [Europe]…”, ND Vice Adonis Georgiadis of a far-right background tweeted on Sunday night. Adonis Georgiadis as former member of LAOS has himself a far-right background and he has been hardly trying to hide his own xenophobic views after he joined ND in 2012 and became vice president under neo-liberal Kyriakos Mitsotakis in 2016. PS In the whole discussion about AfD rise and migration, I see not one in Germany and abroad blaming the war in Syria as the main cause for the Migration Crisis in Europe. Europe along with the corrupt USA is responsible for the refugee flows that have arrived here over recent years. We can also state that the USA and EU are responsible at least in part for the economic survival migrants who arrive in Italy via Libya: centuries of colonial exploitation and more recent scientific forms of extreme exploitation of African economies — not to mention propping up the corrupt regimes of many dictators — leave many ordinary people with no option but to migrate for the chance of a decent life. Pretending that the mass migrations arriving here have nothing to do with sponsoring terrorism and exploiting the poor of the developing world seems to be the main occupation of the right wing of politics. Rather than dealing with the problems of the real world, they spend their time making nasty racist comments and blaming people for wanting to live rather than die.